Two of the most frequently asked questions we get are "why do you like horror movies?" and "how did you get into them?" I was born in Manhattan, New York City during a heavy snowstorm in January of 1969 - which must explain why I love the winter so much. My childhood was charmed and there is nothing psychological or odd to indicate why I got into these films. I grew up with a terrific family, and was never a loner or in trouble. In school, I was an 'A' student and constantly ended up in the honors classes. I suppose the only challenge I can think of is that I was raised in housing projects in a low-income area (the South Bronx) and learned to develop a tough skin...particularly as a gay kid in a notoriously underprivileged neighborhood. The Planet of the Apes phenomenon was one of the first things I was ever into. I lived for Saturday morning television and couldn't wait for my weekly installments of The Super Friends, Scooby-Doo, Fat Albert, The Shazam/Isis Hour and all the Sid & Marty Krofft titles. I've always been into superheroes and comic books, with DC taking precedence over Marvel. A true product of the groovy seventies, I learned about nouns, verbs, interjections and the Preamble of the Constitution from ABC-TV's Schoolhouse Rock. That stuff stuck with me through the years more than almost anything I was taught at P.S. 18, the elementary school I attended. In addition, I became obsessed with the 1950s because of my favorite shows (Happy Days and Laverne & Shirley) and later, the movie Grease. The Lords of Flatbush was another film I loved and couldn't wait for on The Late Show. Clearly, I had other interests besides scary pictures. Even today, when I'm not viewing horror films...I like to relax with reruns of The Brady Bunch and Leave It To Beaver, as well as listening to Doris Day, Frank Sinatra - and the sweet soul sounds of Barry White, Gladys Knight and Curtis Mayfield. For me, disco never went away and "The Night Chicago Died" is one of the all-time great pop singles. I mention these things because I most certainly do not fit the profile of some horror loving, Goth headbanger who wears black all the time. Yet I've always been intrigued by the macabre and when I was a kid...my mom talked constantly about how Psycho and Night of the Living Dead were the scariest things she had ever seen. She adored this type of movie and the roller coaster rush feeling one gets from sitting through them. My first memories of going to the movies include being frightened...and not by a cartoon villain or a witch in a Disney film. No, when we weren't watching Baretta, Starsky and Hutch, Police Woman or some other gritty and exciting cop show of that era...my mother regularly took me to see horror films. 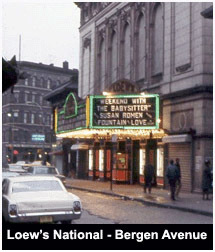 In the Bronx, there was the Loew's National on Bergen Avenue and just around the corner was the Bronx Theater on East 149th Street. Both seemed to specialize in horror, science fiction, action and karate flicks. 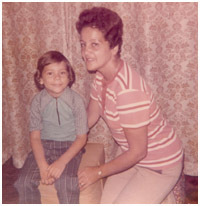 The audiences (predominately Puerto Rican and Black) were always receptive to them. Those were the glory days before the advent of the hideously generic multiplex, when lines formed around the block and grand marquees stood out proudly above the sidewalks. And only one screen (or two at the most) per location, thank you very much. A majority of these majestic theaters had been around for decades and many had specialized in Vaudeville or other live acts before being converted to movie houses. It is an absolute crime that almost all of them have been torn down. With sweets sold at the consession stand being somewhat expensive and the selections limited, we would stop by a local candy shop beforehand and stock up. Then we'd sneak in a brown paper bag filled with Tootsie Rolls, candy lipsticks and cigarettes, Sugar Daddies, Now and Laters, Pom Poms and a candy necklace or two. No, Milk Duds simply weren't enough. I can clearly recall the excitement I had when the Planet of the Apes movies were re-released simultaneously for 20th Century Fox's "Go Ape!" campaign and I had the pleasure of seeing them at the Loew's National. And Ben! Loved it. The rats scared the heck out of me...and the Michael Jackson tune is the earliest song I recall hearing on the radio. Oh...and the little boy who befriends the rodent was named Danny, which I thought was far out. It's funny what stays in your head when you've seen a movie at the age of three. With Ben, it was a scene in which a group of women in a health spa are sent running and screaming in terror when they see the rodents. They don't make 'em like that anymore. When the Loew's National closed, my mom and I would mostly frequent the Bronx Theater, where we saw Bruce Lee movies, along with The Devil's Rain, Rabid, The Devil Within Her, Demon! (AKA God Told Me To) and Dr. Jekyll and Sister Hyde, among many others. I remember often getting to the movies late, when the feature had begun. While waiting to get popcorn in the lobby, I would hear screaming coming from the screen. They were always enticing, not at all like the posters nowadays in which imagination and creativity is gone, replaced by the same boring shots of the actors' faces in shades of blue and green. At home, I was hooked on The 4:30 Movie every day after school, which was part of the programming at WABC (Channel 7) in the New York tri-state area. There would be a theme each week: Japanese monsters, older actress horror vehicles, Edgar Allen Poe/Vincent Price, etc. They would also show miscellaneous apocalyptic Charlton Heston movies (Soylent Green, The Omega Man), movies made for television (i.e. Bad Ronald, Five Desperate Women) and non-horror titles (Elvis Presley, Marilyn Monroe among them). The best for me was my beloved Planet of the Apes franchise. In fact, Beneath the Planet of the Apes (the second in the ape series) was for all intents and purposes, a horror film to me at the time. I found the idea of worshipping the atomic bomb frightening. And when the humans took their masks off to reveal their mutant state...it was as scary as anything I had ever seen up to that point. Airing these films at this time meant doing your homework as quickly as possible so you could relax and enjoy the show. But it was worth it. I mean, the films I was able to see during those years! The Fly, The Blob, Die! Die! My Darling!, The Pit and the Pendulum, too many to name. I was introduced to the fantasy of Ray Harryhausen and Jason and the Argonauts, and The Seventh Voyage of Sinbad mesmerized me. Another week I always looked forward to was the "nature gone awry" theme which invariably included Frogs, Empire of the Ants and The Food of the Gods. Having Ray Milland, Joan Collins and Ida Lupino attacked by giant insects and creepie crawlies might not have been the highlights of their careers but it was a fun diversion for a kid my age. The 4:30 Movie ended in November of 1981 and I resented the fact that The People's Court and yet another newscast took its place. It was a tremendous loss for devotees of the macabre and the fantastic. While I certainly love renting and buying any title I want now, I miss the days when those films were featured non-stop on the small screen. Made-for-TV thrillers were a staple for me. I'll never forget being seduced by a photo of a bloodied Karen Black in a 1975 TV Guide article, promoting Trilogy of Terror. When I saw the film, the build-up to the third segment (Amelia) was nerve wracking and images in my head of the Zuni fetish doll coming to life kept me up at night. I had the opportunity to come face to face with Ms. Black at a convention twenty-five years later and she was exactly as I thought she would be: very intelligent and a little eccentric. My passion for television horror ran very strong. I would circle anything in the TV Guide or newspaper that had the word "thriller" next to it and I made it a point to watch them. One of the many TV movies that made a big impression on me was Gargoyles and I recall seeing it on the floor on a Saturday night in a darkened room at my grandparents' apartment. When I spent a few weeks in a hospital in late 1973 and early '74, a distinct memory that stayed with me through the years (in addition to watching Happy Days on Tuesday nights and hearing the "Rock Around the Clock" theme song) was seeing Curtis Harrington's The Cat Creature on the monitor high up on the wall. I even sometimes took my enthusiasm to elementary school...where my third grade teacher, Mrs. Schneider, let me stand up in front of the class one late Friday afternoon to announce that Look What's Happened To Rosemary's Baby would be on in the evening. What was it about, someone asked. "Oh...the grown-up son of the Devil," I replied. A couple of students gasped, but Mrs. Schneider smiled - and that night, the sequel to Rosemary's Baby had some extra (and very young) viewers. In retrospect, and contrary to popular belief, Made-for-TV thrillers were often better than their big budget counterparts. I have never failed to be entertained all these years later by Duel, The Dark Secret of Harvest Home, Curse of the Black Widow, The Legend of Lizzie Borden, Night Terror, The Initiation of Sarah, Don't Be Afraid of the Dark, Death At Love House, Helter Skelter or The Stranger Within. The Night Stalker was significant. 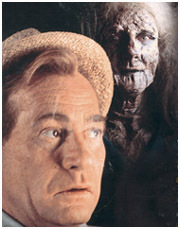 Two television movies that followed the exploits of reporter Carl Kolchak had garnered huge ratings and a weekly series was a natural progression. It only lasted a single season but was syndicated later in the decade and is still highly regarded. The stories were exceptionally well-written and Darren McGavin was an engaging lead. There was always a bit of humor mixed in with the supernatural but it never overwhelmed the fast-paced action. In terms of older television shows, I never got enough of The Twilight Zone, The Outer Limits and Alfred Hitchcock Presents reruns. All three were produced well before I was born. But in the seventies, people still had a respect and reverence for the past...which also explained the immense popularity and resurgence of the Universal monsters from the 1930s. Aside from the classics, there were few series that were specifically of a suspenseful nature when I was growing up. However, beginning on January 30, 1977...Sunday nights at 7:00pm (Eastern) were reserved for The Hardy Boys/Nancy Drew Mysteries. Based on the books by Franklin W. Dixon and Carolyn Keene, it starred Shaun Cassidy and Parker Stevenson as Joe and Frank Hardy, and Pamela Sue Martin as Nancy. The program premiered with the guys in The Mystery of the Haunted House and thereafter, alternated weekly between the Hardys and Drew. Whether you thought of it as a live-action Scooby-Doo or a Columbo for kids...watching these shows was a way to deal with the usual blues one might get before having to go back to school the next day. With titles like A Haunting We Will Go and The Mystery of Witches Hollow, there was very little violence but the attractive cast and amusing storylines made for fun and harmless viewing. I don't think I saw Rod Serling's terrific Night Gallery program when it first aired between 1970-1973. I do recollect seeing the pilot repeatedly, and I was always partial to the segment directed by Steven Spielberg that featured Joan Crawford. The one in which she played a selfish blind woman who buys a desperate man's eyes...and then she regains her sight during a blackout in New York. Good stuff. Monster and horror themes on the weekends were common. 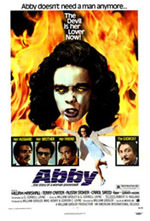 There was Fright Night on WOR-TV (Channel 9) and Creature Features on WNEW (Channel 5). And then there was Chiller Theatre on WPIX (Channel 11), which featured promos of a six-fingered claymation hand pulling the letters "CHILLER" into the ground. It was followed by a booming voice that pronounced the word in a drawn-out and rather intimidating way. The extremely creepy music and the sight of that hand were enough to send me running to the other room. Or at the very least, I covered my ears and closed my eyes. Man, what fun! I couldn't wait to watch theatrical releases whenever I could catch them on television. Let's Scare Jessica To Death, The Reincarnation of Peter Proud, Race With the Devil, Westworld and Sisters are a few that I remember in particular. Early daytime was not safe from the fear factor either. On any given Saturday, I might have seen Blacula or Tourist Trap on my little black and white set. And on Sundays...I would be glued to the TV watching Horror Express. Occasionally, my two siblings would take me to the Fordham Road section of the Bronx, where we would catch "event" flicks. Jaws knocked my socks off, while The Towering Inferno started a fascination for me in disaster films which continues to this day. 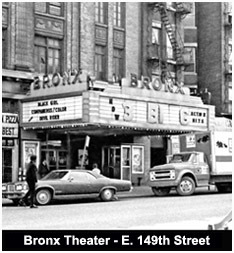 The Bronx Theater closed in 1978 and the final movie that played was American Hot Wax. From then on, I had to go down to Spanish Harlem where my mom and I enjoyed the double features at the Cosmo on 116th Street...just as the slasher cycle was getting in gear. Halloween started it all and you knew it was something special when you first saw the trailer. The Cosmo wasn't a remarkable movie house by any means, but a cousin and I often went alone, unaccompanied by adults. I was also old enough at that point to be able to take the subway there by myself. Have I mentioned lobby cards? I was always drawn to them. Those promotional shots under glass in the flat display case just next to the box office. I'd look at the photos before and after the films. They made the whole experience a lot more fun. 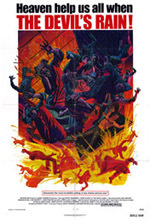 The cards for the first two Omen films were good examples of how effective they were as advertising tools. Times Square (before it was cleaned up) was ripe with theaters that showed these flicks. On one memorable Sunday in 1979, my parents and I went to see The Prophecy...and then went straight to see Phantasm at another location. That same year, Alien kept me on the edge of my seat, and the wild audience reaction upon seeing it for the first time was contagious. I had never experienced anything like it. I literally rocked in my seat with nervous excitement. 86th Street had a couple of movie screens that were dear to me. I can recall the anticipation I had the day The Amityville Horror opened and I saw it at the Loew's Orpheum with a packed house. The book had been such a sensation. Soon after, I made a point of trying to find the original home in Long Island. The critics hated it...but Amityville will always hold a special place in my heart, in large part because of Lalo Schifrin's chilling score with its haunting child-like melody - and the way the attic in the house is lit up at night...like it has eyes. Goose bump time. 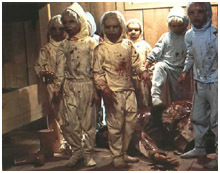 And then there was The Brood, a film that made me sleep with the lights on. David Cronenberg's dank Canadian atmosphere and homicidal mutant dwarfs were the stuff of nightmares. However scary that picture was (and is), I stayed to see it twice...and then went back a third time. 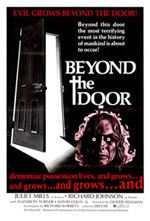 Although I enjoyed first-run theaters, the horror genre lent itself to second-run houses where I often had the chance to see an odd double bill weeks after the features had come out, such as The Dark with The Fifth Floor. Or Escape From New York with Friday the 13th Part 2. They also enabled me to take in as many films as possible. While scary movies and slashers were at their height (and under attack) I had the pleasure of seeing most of them. Some good, some not so great. Don't Go In the House, My Bloody Valentine, The Funhouse, Dead and Buried, The Children, Terror Train, Dressed To Kill, The Fan, Holy Terror (AKA Alice, Sweet Alice), you name it. In fact, the one and only time I ever went to a drive-in (long since gone) was to see Motel Hell and Halloween II in the fall of 1981. 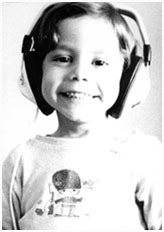 The prints were so-so, the sound was barely audible...but none of that mattered. A standout for me from my childhood was the commercials, which were sometimes even better than the films themselves. From Beyond the Door to Friday the 13th, I enjoyed every single one of them. I found an advertisement for Suspiria particularly unsettling and unexpected. A woman is seen brushing her hair from behind while reciting a poem. "Roses are red, violets are blue...but the Iris is a flower...that will mean the end of YOU!" Shrieking, she turns around to reveal she's a skeleton. Yikes. By the mid-eighties, home video and cable spurned my interest again in the genre. My friends and I rented all the movies I had seen in theaters, along with newer favorites such as The Evil Dead, Children of the Corn and Silent Night, Deadly Night. Home Box Office became required viewing. Repeated airings of Curtains (a film that would have received little attention otherwise) gave me chills. I never forgot the sequence of the old killer hag on ice-skates brandishing a scythe and going after Lesleh Donaldson...even when the film's title eluded my memory. And then in 1988, my eyes opened wider when I caught a neat double bill of 1961's The Innocents together with Suspiria at the Cinema Village on East 12th Street. I had heard about Suspiria, having been spooked by the commercial some eleven years before, but I wasn't prepared for what I saw. Dario Argento's wicked imagery blew my mind and I became curious about his work. 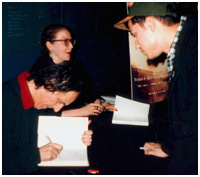 When I met him at an American Museum of the Moving Image retrospective in Queens a few years later, he was extremely nice and it was a thrill to hear him take questions from attendees and admirers. As with many people, Argento was a good introduction for me to the beauty of Italian horror. There's always a lot of talk about the genre's 'rebirth' because of Wes Craven's Scream movies, but I viewed them as simply the final nail in the coffin. Never again would horror be straight-forward. Instead, we've been bombarded with overly sarcastic characters, shallow pretty boys and girls, too much humor...and a deconstruction that adds little. Great films were few and far between in the nineties, Silence of the Lambs and Candyman notwithstanding. The artwork nowadays, on posters as well as video and DVD covers, is uninspired and devoid of originality. While the Internet is inclined to celebrate all that is new and "hip" - we saw it necessary to pay homage to the past. And after seeing Black Christmas for the first time and realizing there was hardly anything available about such an important work, it became obvious that an online museum was something that was long overdue. 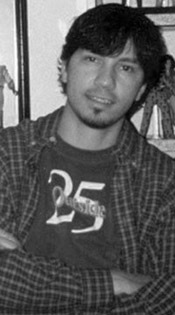 I met Jason in 1997, and I knew we had hit it off when one of the first things we talked about was Jamie Lee Curtis. This site came to fruition in '98 - and with a fondness for alliteration, we named it in tribute to Terror Train and Tourist Trap. By the way, here are a few words you won't see here: cheesy, dated and corny. I can think of plenty of ways to describe these works without using those adjectives. It's simply a stylistic choice on our part. I've had a life-long love affair with mysteries, suspense, thrillers and horror pictures, and there is nothing quite like being frightened by a good one. My part in helping to create The Terror Trap came from a desire to celebrate the fun and fear that comes from watching these films.